Former Public Accounts Committee chairman and Terego county Member of Parliament Kasiano Wadri has picked nomination forms to run as an independent candidate in the Arua municipality MP race after the party he helped found chose to stick with its flag bearer in the 2016 general elections Bruce Musema. 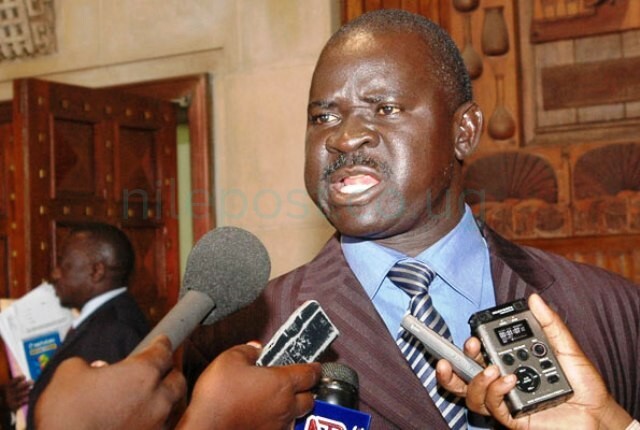 Speaking to the Nile Post from his campaign offices in Arua, Wadri confirmed that he has given up on the Forum for Democratic Change (FDC) flag. “My symbol is the table and I am an independent candidate because my party did not give me any flag so I have decided to offer myself and run as an independent candidate.” Wadri said. Wadri said his decision is based on FDC failing to come out and offer him support in his run for the seat. He lays this failure at the feet of the leadership of his party. “It is me who brought FDC to West Nile, it is Wadri but you must practice what you preach, if you can’t have justice then there can’t be justice given to any other person this is a situation where we expected to go through a primary election.” Wadri argued. Wadri wants the party to produce the legal guideline in the constitution that bars the party from carrying out primaries in the situation. “I have gone through the constitution of the Forum for Democratic Change that I have served diligently ever since we founded it, I served as deputy secretary general in charge of administration for ten years, right now I’m a member of NEC, right now I’m deputy secretary general for mobilization in charge of northern Uganda. If you are that senior in the party and you cannot understand the situation on the ground and ignore the wishes of the masses then so be it.“ Wadri charged. Wadri said he warned his party members against arm chair administration of sitting in Najjanankumbi and making decisions without finding the truth on the ground.